Twickenham is the first of my Garden Series of geometric designs. This series was named because the outlines resemble some of the designs used in traditional formal gardens. The design explores several innovative styles of open canvas patterning, including one called mock or "simulated darning" which is used to secure the beads in two areas. 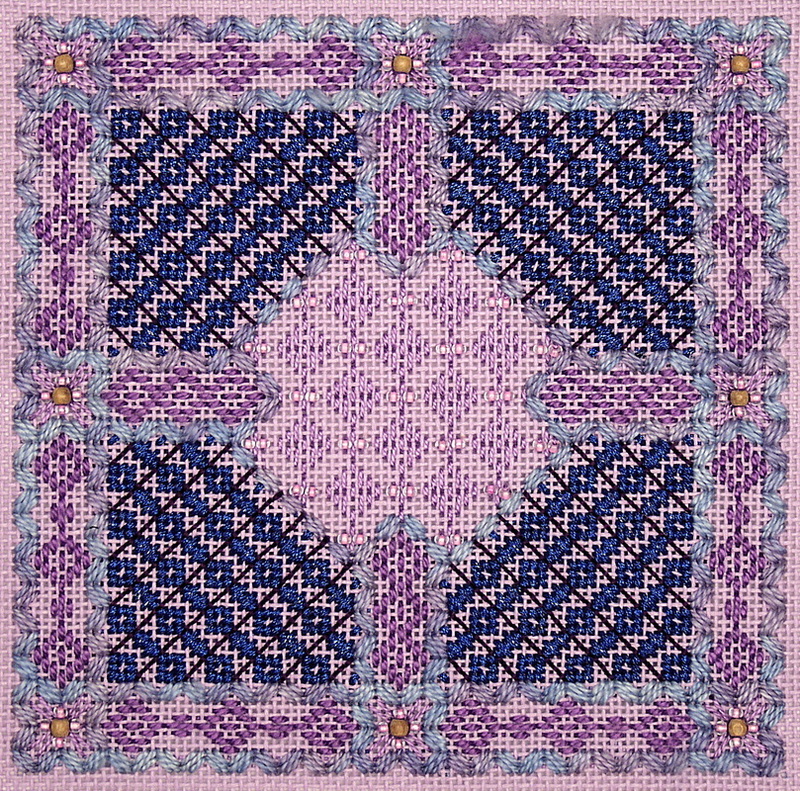 The pattern appears to be darning with its light airy quality and its use of exclusively satin stitch units, but the normal running stitch sequence has been altered to a back stitch sequence to more securely attach the beads. This small design will fit many commercial boxes. See suggested color choice option in the lavender - see below. NOTE. The materials for the aqua-teal color combination is listed first. The materials for the blue-lavender color combination follow in parentheses. 10mm rocaille beads: 100 teal (100 purple).